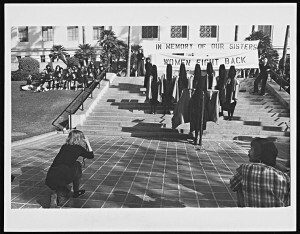 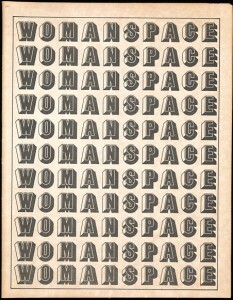 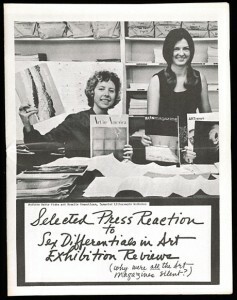 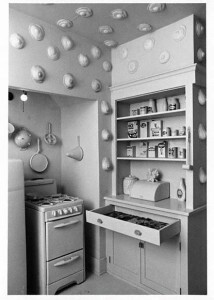 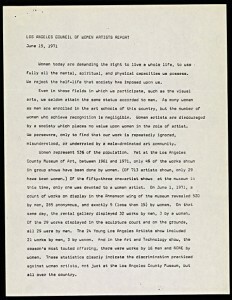 Womanhouse was the first project of the newly-established Feminist Art Program at CalArts. 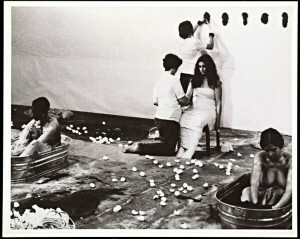 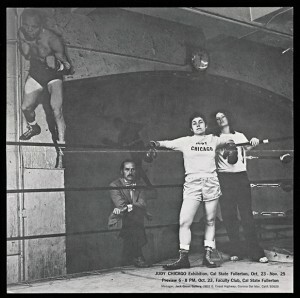 Judy Chicago and Miriam Schapiro, working with their students and a few other women artists, took over an old mansion on Mariposa Street in Hollywood and converted into a space for installations and performances exploring women’s domestic space. 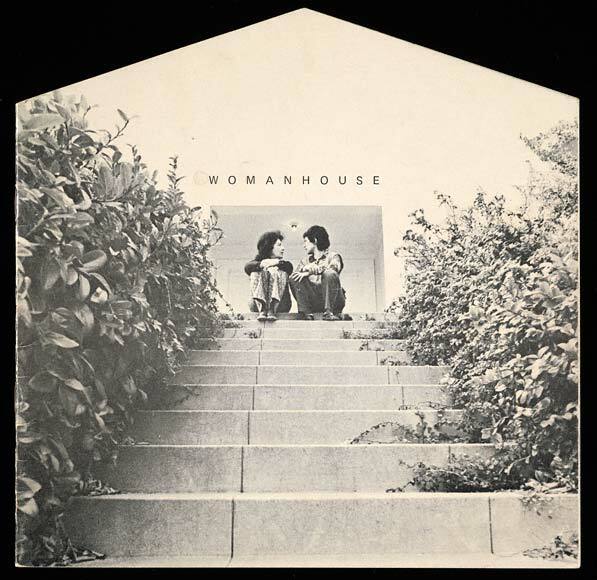 Womanhouse was open for a month in February 1972. 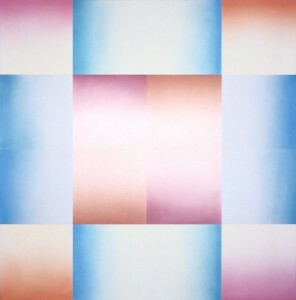 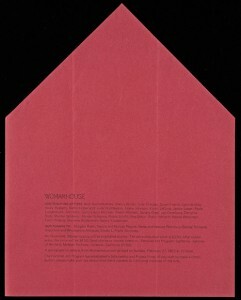 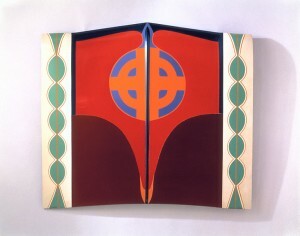 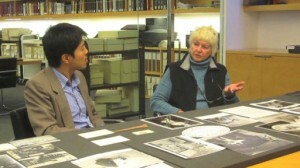 Exhibition audio: Judy Chicago and curator John Tain talk about Womanhouse.